Check back for future workshops designed to further your knowledge of painting portraits, including technical face-mapping and the subtleties of capturing likeness and presence. 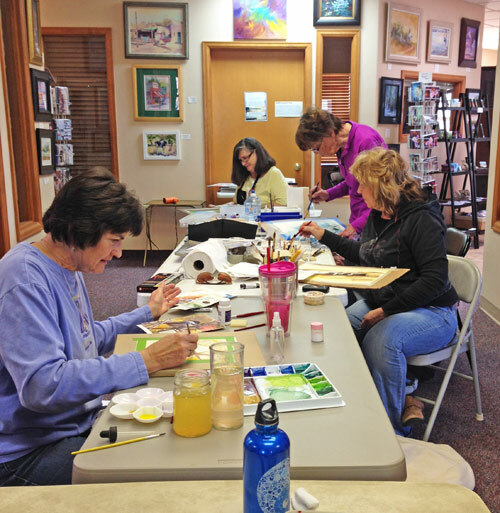 Classes and workshops in the Pueblo, CO area! VALUE! 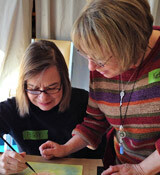 10 Workshops for the price of 8! 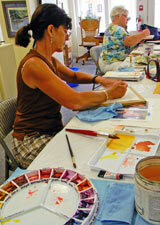 Learn the basics of watercolor, watercolor paper and brushes. Learn how to move pigment in water. 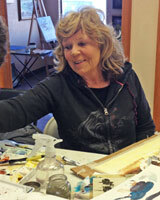 Learn the basics of acrylic paint, what to paint on and brushes. 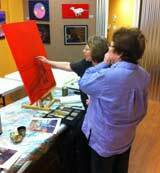 Learn the basics of pastels (artist-grade “chalk”), papers and boards. Have fun learning general techniques and painting your own sample. make your own mixed media sample. 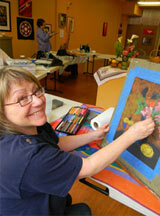 Fun and challenging exercise drawing and painting a still life. 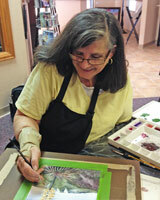 Go wild and express yourself with strokes, patterns and free thinking. 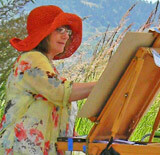 Learn the basics of painting “En Plein Air”, (which means painting in the open air, or outdoors). 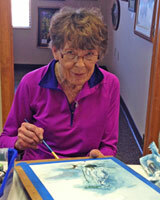 We will have an exercise painting a landscape outdoors. Valuable information touching on marketing yourself and building your “brand”. Learn how to map a face, find dimensions and use a grid. Learn or brush up on these points in the morning. In the afternoon, use the Grid Method to draw your image on paper or canvas for painting in the follow-up Portratit Painting Workshop or at home. *Bring a good quality reference photo to work from; large enough so you can see details in the eyes. If you have a way to make a printed version of the photo (from your home printer), bring that too so you have one that you can draw lines on. to capture the essence of spirit and presence in your portrait subject. Open to all media: oil, watercolor, acrylic, and pastel. Recommended for the artist familiar with their medium. Watercolor paper: Cold pressed is preferred, but not necessary. Weight: 140# (warps unless stretched), heavy weight 300# (no need for stretching and can take scrubbing), or a watercolor block. If using 140# paper, have it stretched and ready to paint on before you come. Enjoy a day immersed in the joy of pastels. and then create your own masterpiece. You will have fun and leave amazed at what you created! with personal instruction and support. 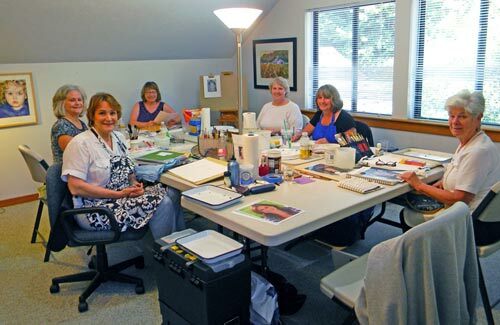 This class promises to be extra fun and very hands-on! The student will learn tips and techniques used in creating a fun and unique collage art piece. 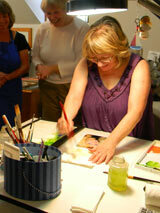 and will create your own collage using the collage paper and stamps you make. Email Katrina or phone 719-557-9997 . 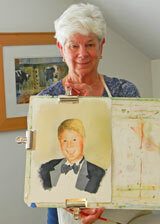 Katrina has over 40 years of painting experience, and has taught portraiture for several years. 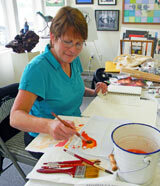 She enjoys watercolor, oil and pastel and specializes in portraits, landscapes and still life. Katrina has trained with Leslie B. DeMille and has taken classes and workshops from various instructors throughout the years. 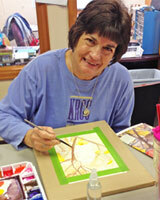 Katrina also has sat on Boards and Committees of several art organizations, produced the Monday Morning Painters and Artists' Resources websites. 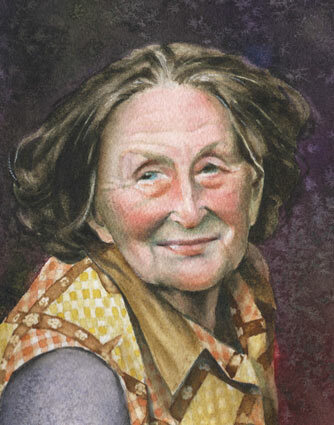 She has had several of her watercolors published through Quarto Publishing out of the United Kingdom, and is a pro-active artist working toward the benefit and furtherment of all artists in Sonoma County. » © 2007-2019 Katrina Small Studios. All rights reserved.